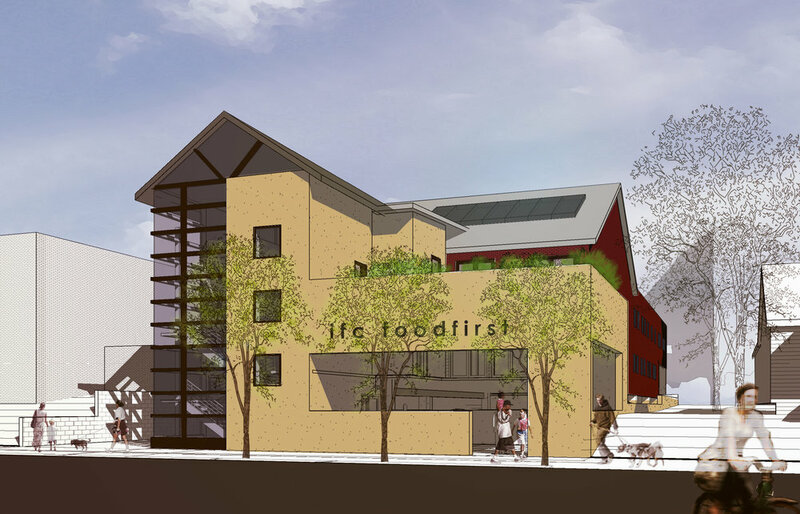 Design of the new building for the FoodFirst program was developed over a long period of time beginning in early 2010. The current plans for FoodFirst are a reflection of the time spent thus far and the input of many people. The building’s exterior is intended to present a civic front – a building which fronts Main Street strongly and replaces the existing parking lot. The exterior design also reflects IFC’s goals of service and stewardship. A large gathering space for clients is featured – it is out of the public right of way and also screens the new parking.